Michal is a registered Veterinary Surgeon. In 2012 Michal graduated from the University of Life Sciences, Faculty of Veterinary Medicine in Lublin, Poland. He worked here in a veterinary practice for two years and then in 2014 he moved to the UK. He spent the last couple of years working for a very busy animal rescue charity in London. After that Michal moved to Southport and was a part of a Vets4Pets team. 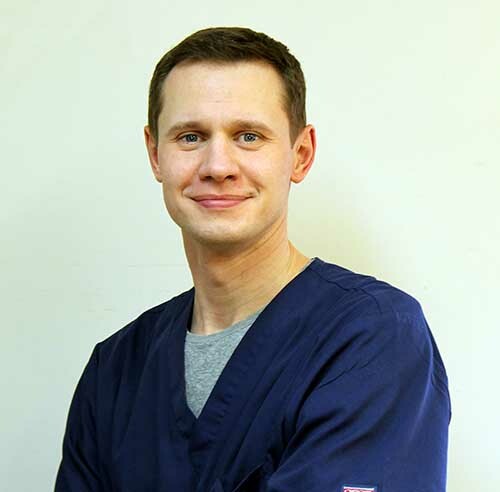 Michal’s main interests are small animal orthopaedic and soft tissue surgery. Outside work he likes going for long walks with his wife, playing tennis and exploring new parts of England such as national parks and seaside towns. Welcome Michal – it’s great to have you with us.